Apollo-Soyuz test project mission control. 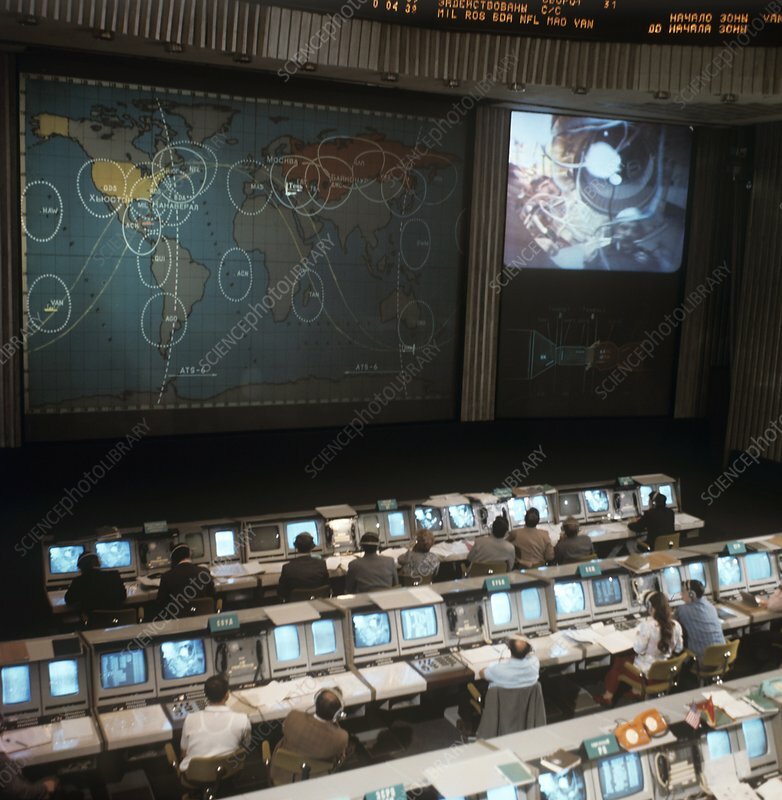 Flight controllers in the mission control room in Moscow, Russia, during the Apollo-Soyuz Test Project (ASTP). The ASTP mission flew on 15th July 1975. It was a joint project between the USA and the USSR, where a Russian Soyuz and American Apollo spacecraft docked in orbit to test a jointly-designed international docking mechanism.